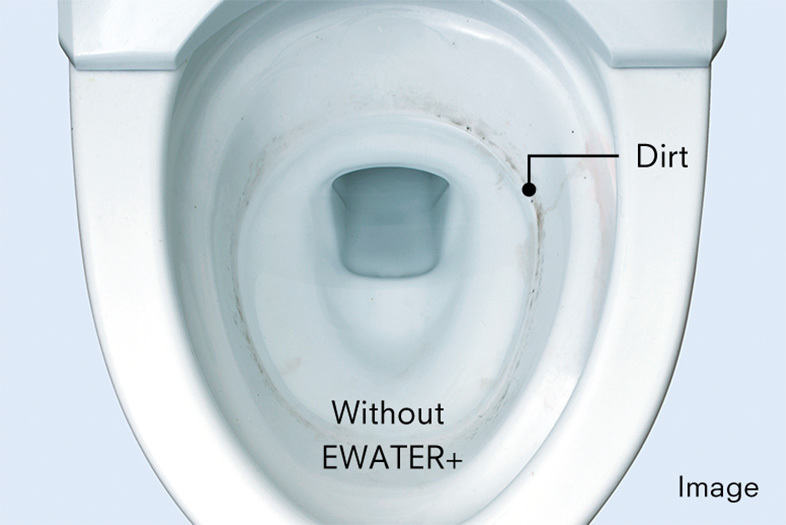 EWATER+ is a type of antibacterial water that sanitizes the wand and toilet bowl where waste and bacteria tend to accumulate and produce stains that can become permanent. 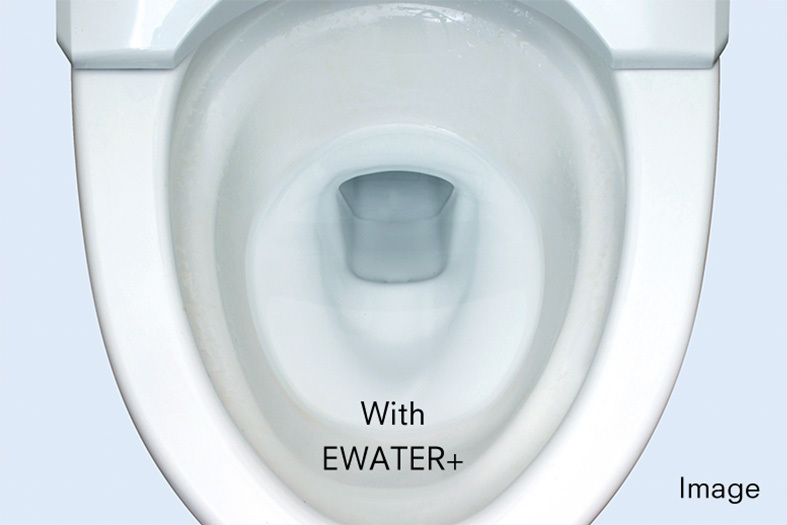 Using no chemicals or cleaning agents, EWATER+ provides peace of mind every day that microscopic bacteria has no place to hide. 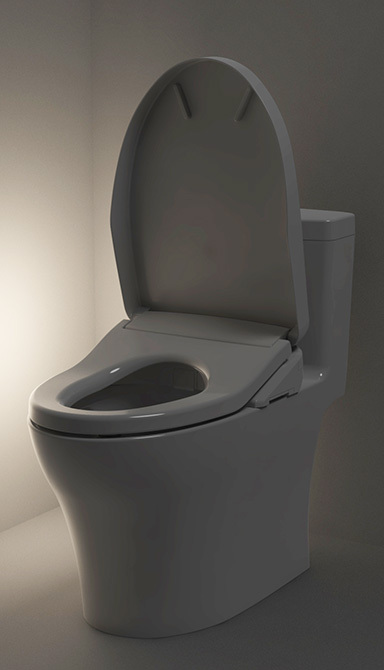 Survey: Study the effectiveness of EWATER+ by comparing the state of cleanliness of toilet bowls that receive no cleaning versus toilet bowls that are self-cleaned with EWATER+. No additional cleaning was allowed. Survey period: One month (Feb. - Mar. 2017). 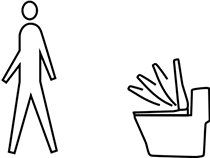 Subjects: Families of four. 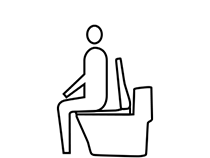 *Results vary according to usage and environmental conditions. All data collected by TOTO. 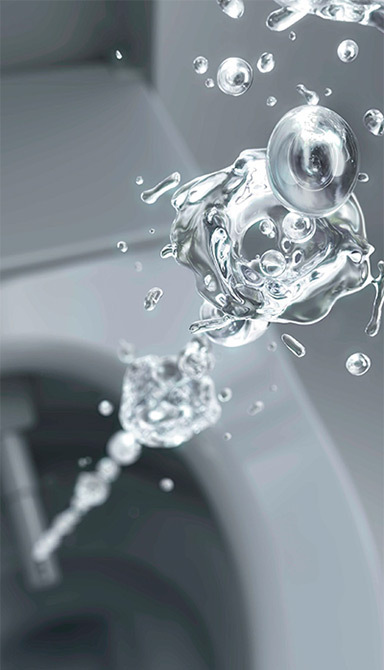 Produced by electrolysis of the chloride ion in tap water, EWATER+ is a highly effective sanitizer. 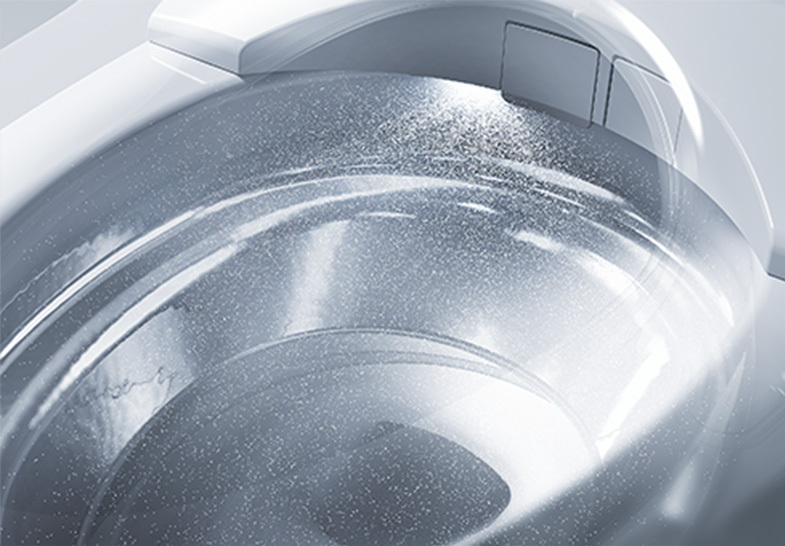 It is completely free of chemicals and cleaning agents. 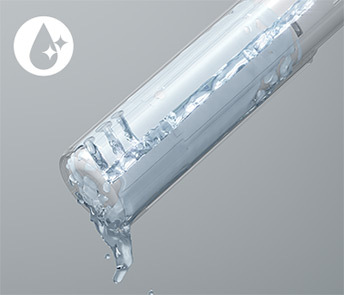 Over time EWATER+ returns to its original state of ordinary water, making it completely environmentally friendly. 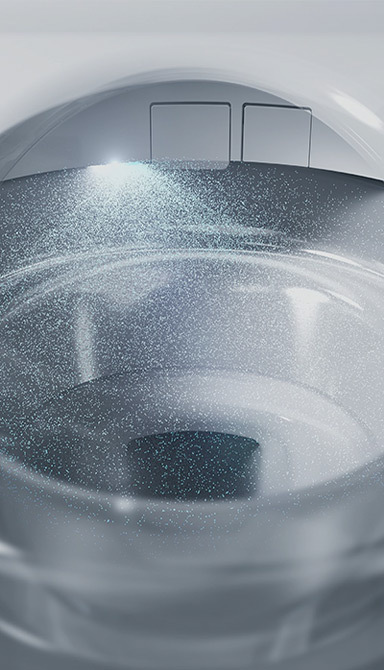 PREMIST automatically sprays water over the surface of the inner toilet bowl before every use. 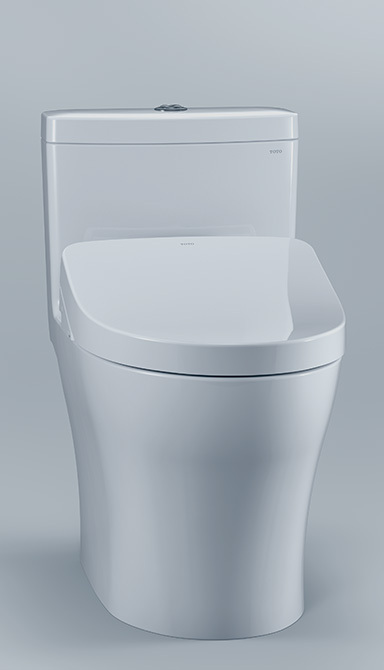 Due to the ceramic’s hydrophilic nature, waste washes away more easily. 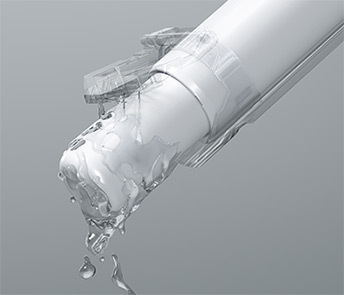 The wand washes itself inside and out with EWATER+ to maintain hygienic conditions. 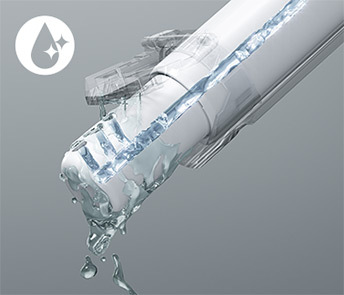 Before and after each use, the wand automatically sanitizes itself with antibacterial EWATER+. This thorough cleaning occurs inside the wand as well as all around the exterior. 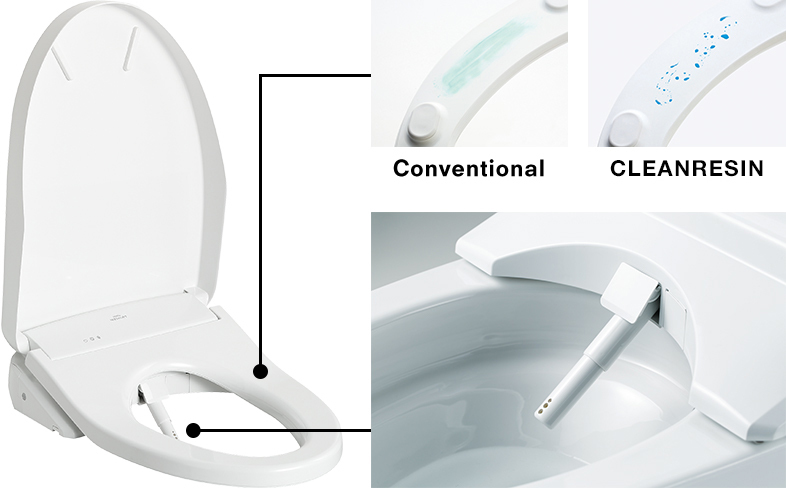 Even when the toilet is not being used, the wand periodically cleans itself to ensure constant hygienic conditions. 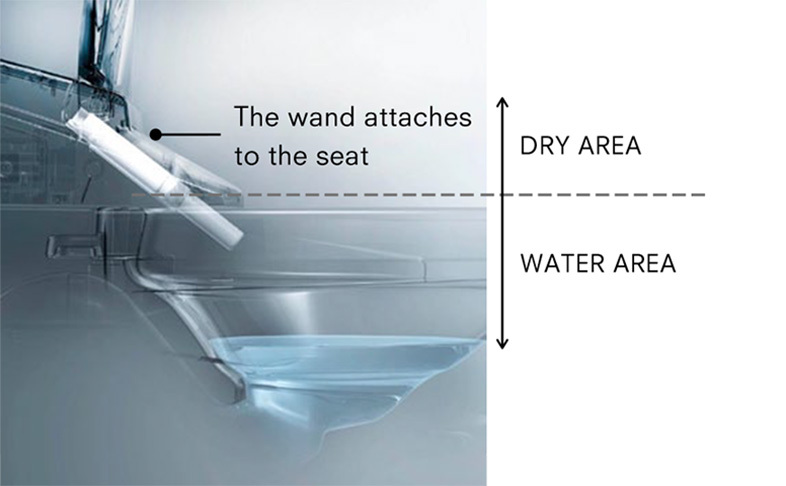 Survey: Study the effectiveness of EWATER+ by comparing the state of cleanliness of wands self-cleaned with EWATER+ versus those that are not. No additional cleaning was allowed. Survey period: Two months (Sep. - Oct. 2017). 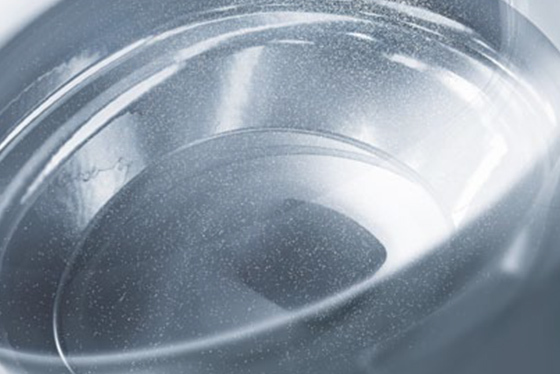 *Results vary according to usage, environmental conditions, and product type. All data collected by TOTO. 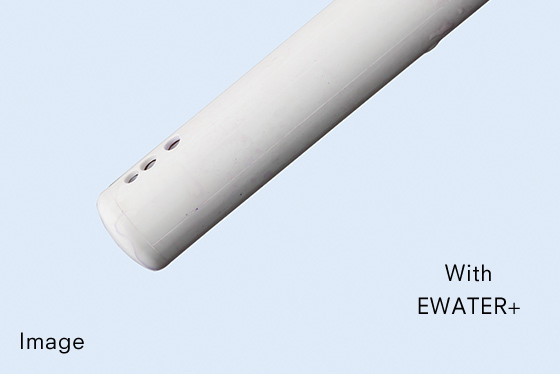 Made of high-quality waste-resistant resin and automatically sprayed with EWATER+ after each use, the wand is extremely resistant to waste and stains. 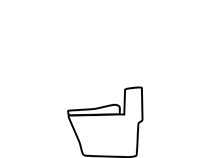 What’s more, the wand attaches to the seat, not the bowl, so waste is less likely to even reach it. 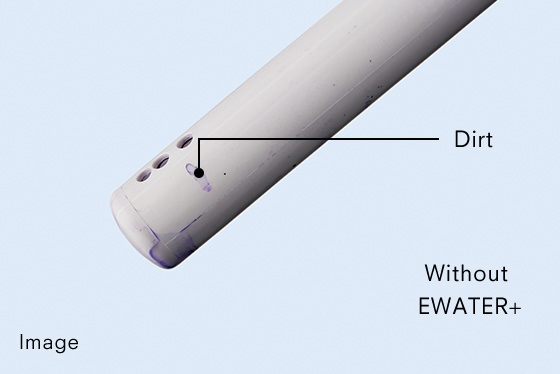 Though the wand is self-cleaning, you will appreciate how easily you can reach it and wipe it spotless. 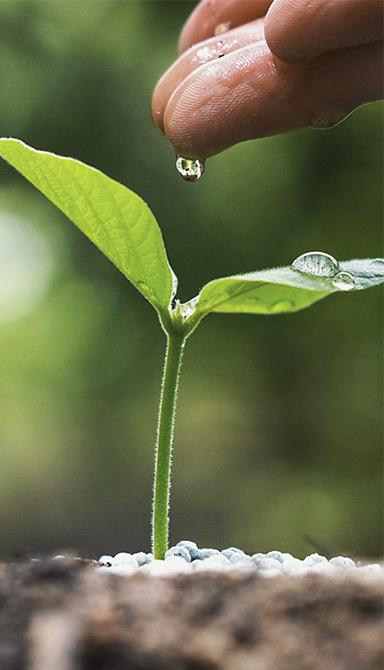 High-quality resin repels waste and dirt and resists staining, keeping surfaces clean.